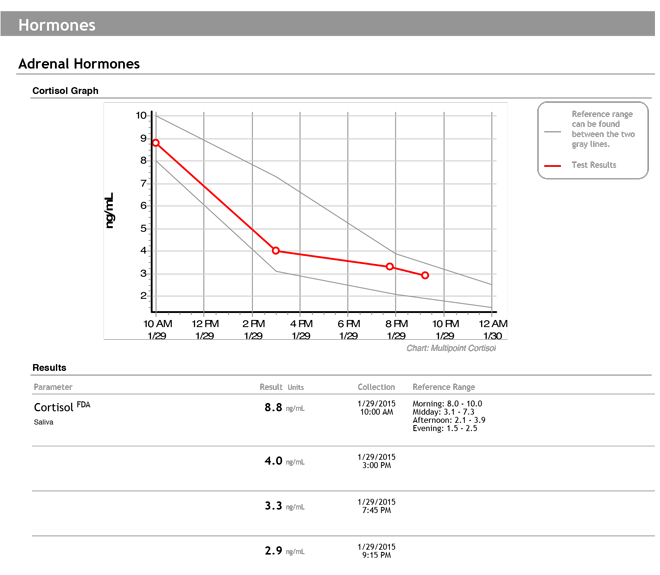 Find out what kinds of neurotransmitter and or adrenal imbalances may be working against your optimal functioning, from the comfort of your own home. These and other innovative and useful tests are available through many providers. Dr. Lartin can recommend a practitioner if you are interested in learning more about this important “test and assess” process. 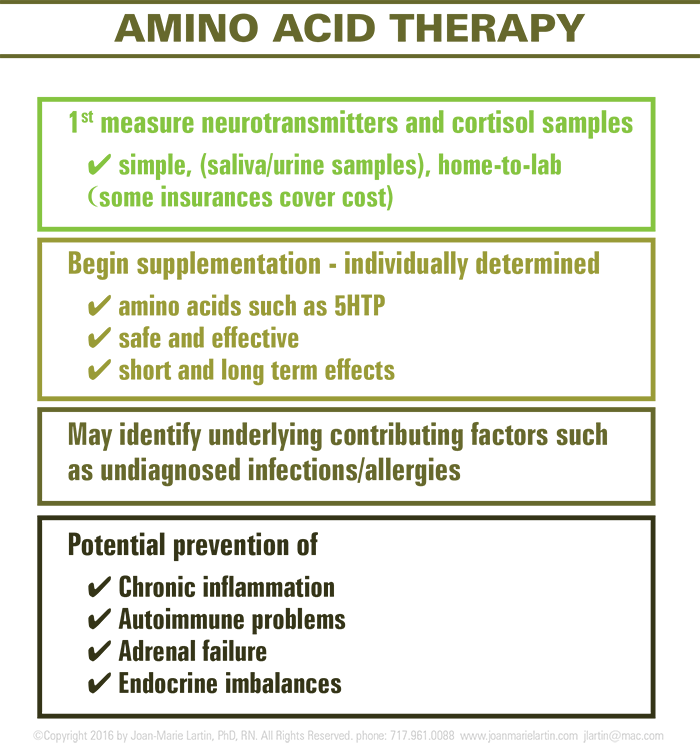 levels of Amino Acids with common symptoms. 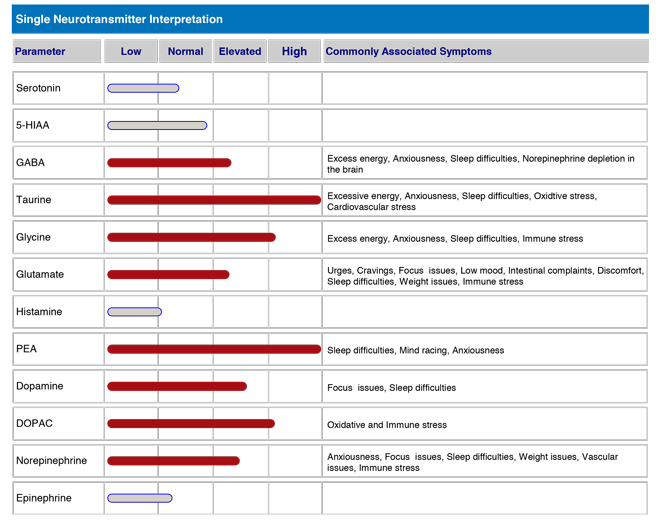 fiunctioning of Neuro-Endo-Immune Super System.